Subler allows you to "mux" MP4 files meaning you can embed subtitles into QuickTime movies with the minimum of fuss. Subler allows you to create tx3g subtitles tracks compatible with iPod, AppleTV, iPhone and QuickTime. It also allows you to mux video, audio, chapters, subtitles and closed captions tracks from MOV and MP4 files. For those that need to edit metatags within videos it supports this also enabling you to add HD tags, for example. There is no user interface to Subler as such however. It only opens when you open a video file. I found that it crashed several times simply trying to open MP4 files so be aware that Subler can be quite unstable. When the interface opens, you can see and edit clearly the audio language, metadata attached, format of the video and duration. However, it doesn't seem to work with DivX files, even though MP4 is a container for the format. 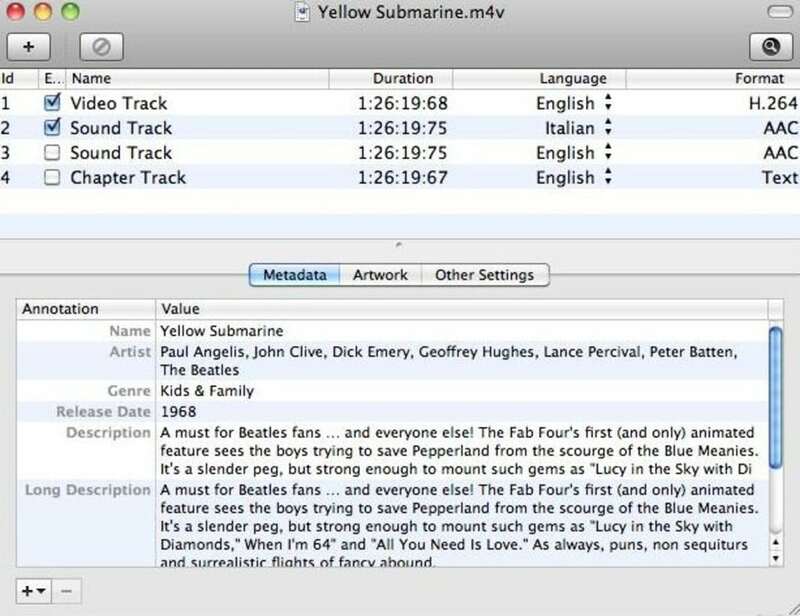 If you need to edit metadata or add subtitles to a QuickTime movie, Subler is a useful if far from perfect app to start with. Fixed a issue with the "Genre" tag Fixed the handling of 64 bit files, sometimes Subler would create a 32bit file even if the "64 bit data" checkbox was enabled Prepopulate the Save panel of a new file with a default filename based on the filename of the first track added to the file. Read/write H.264 profile/level on video tracks. It's possible to change the H.264 profile/level to trick iTunes into syncing files to iPhone/iPad. Resolves issue #139. Improved TagChimp search, especially for TV Shows. What do you think about Subler? Do you recommend it? Why?